We’ve developed the new landing page for our web studio. We tried to make the design light, minimalistic, stylish, mostly monochrome. Three language versions (the fourth is being modifying) and various forms of feedback helps to make communication with visitors easy and the process incoming requests quickly. The CMS WordPress gives us an opportunity to add and edit content, increasing our position in the organic rates of search engines. 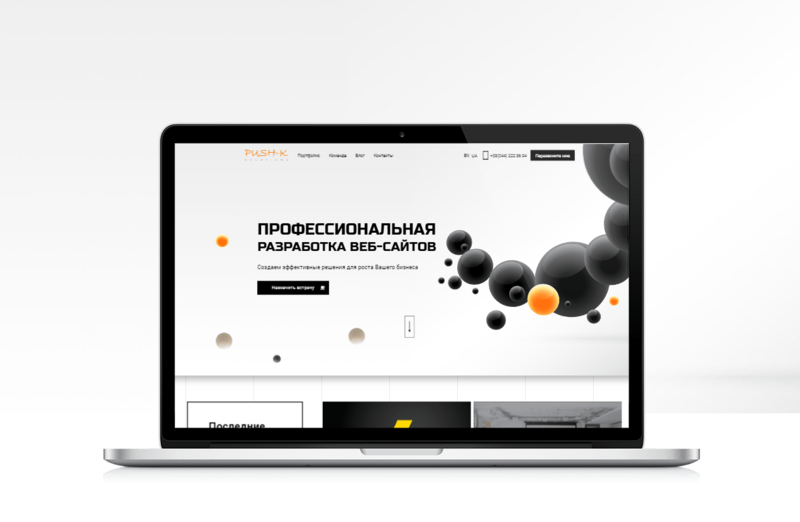 Our particular attention was paid to the layout, we used Parallax and Magic Scroll plagins and many other features that make it interesting to scroll and interact with the page. Visitors time on the page has been increased by 2 times, so our efforts were not useless.